"Accessibility, Variety, E-Z Build Process The Firebird is a straight forward sleek design. Letting my 6yr old Tiger cutout the template was another way to involve him with the building process. The web-site selections helps turn imagination (& wood block) into project reality!" The Firebird Trans Am burns up the track! This is an easy car design - Each step is shown clearly with the help of 3D AutoCAD images. This Firebird car design plan is packed full of instructions, graphics showing each cut, as well as prime weight placement, building hints and tips, car cut-out templates to use as a cutting guide. You even get to see your car rotating 360 degrees and in different color schemes to help you customize your own Firebird! I have to say this was my favorite looks wise of the cars my son did so far. The races were all very close, but it didn't compete well against the others, only got 3rd and 4th in every race. Our weights were correct, axles and wheels polished and the car weighed 4.95oz, so I don't know what we could've done differently. My son was very disappointed. The shape was a very good design and adding the weights appropriately from the rear makes this car a fast one. My son and daughter had the same design and won in both their divisions. My daughter was undefeated amongst all cars in all divisions. Great design. Was easy to understand as this type of thing taxes my skillset. It helped me to design a cool looking car without compromising the Cub Pack rules. 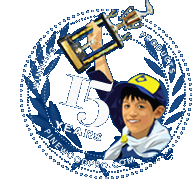 I have used Pinewood Pro for 4 out of the 5 years my son was in scouting. Joe offers a very good solution to a the average guy who does not have "Yankee Workshop" in his garage. a simple and cheap copping saw and sand paper and your all set. Nice sleek design, my son took 3rd fastest time at his school. This template did the job for me. Did two cars from it and won all races. I would give it a five except for the fact that the template doesn't come with window. Love these products. 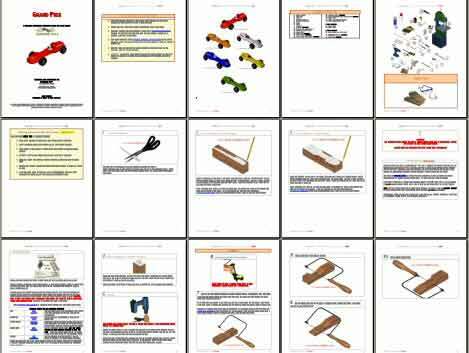 Pinewood Derby designs are easy to print off and cut from using their templates. We have used them for many years now, and have never been disappointed. We won 2nd place with this car. It was a nice easy build. My son took 3rd place with this car. Easy to cut, sand and paint for him. Body was easy to cut out. Car placed first in tiger cub event at area council derby race. My son won first place overall at his first ever Pinewood Derby with this design ! Thanks!!! Easy to download and easy to follow step by step directions. Very Good job with the graphics, which in turn made it easy to cut. Third Place for Best in Show! My Son won third place for Best in Show car design - Definitely worth the money. Made a great looking car. Took second place in the cub scout pack race! Best looking car at the race and easy for first time builder. My son's car won fastest overall! This car came in first place with each run in it's division. My son won first place for speed and second place for design. Great design, especially since there is really only one profile to cut. Also, not a lot of sharp turns, etc. which reduces sanding time. My son was able to do this almost by himself and his car looked great. Took 3rd in his pack for speed! Very stylish and easy to build. This car is the first time I have built a Pinewood Derby as an adult. We had a great time with it and ended up with a pretty fast car that one 3rd place in overall design. The Firebird is a straight forward sleek design. Letting my 6yr old Tiger cutout the template was another way to involve him with the building process. The web-site selections helps turn immagination(& wood block) into project reality! My son and I had no problems creating an almost exact replica of the white Firebird. He enjoyed working on the car and did well at the Pinewood Derby. Really cool design - we painted it a glossy whote and used the firebird stickers. It looked great and did well. A great pinewood derby year for us! This body is perfect for a first time builder or for the first time the scout does his own cutting. The design is simple and forgiving and, hey, it looks like a real car. Would be nice if it came with a template for painting the windows though as we prefer to do our own art and not rely on a premade applique. Excellent body - it won the race!